If you are a small to mid-size business looking for CRM software you probably have one business objective in mind and that is to find: (1) a stable and quality company, (2) a top rated product that will meet your requirements and (3) a firm that will provide you with world class customer service. There are a plethora of CRM solution providers to choose from, but very few that meet all three criteria. There is one company however that has consistently risen to the top in all three areas. That company and product is Commence. Outlined below are some of the reasons customers say they chose Commence CRM for their business. We suggest you match our company, our product and our level of service against other solution providers you may be considering and take a moment to see what our customers say about Commence CRM. Click here for more customer testimonials. 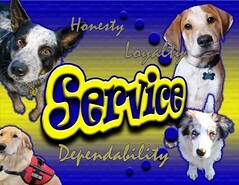 Image “Qualities of Service” by Mike Costello on Flickr under Creative Commons license.